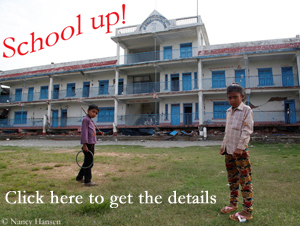 The expedition operators in Nepal might have been so shocked that they dropped their pencils. In the “New Regulations for Foreign Expeditions 2019” in Tibet (available to me) it says under point 6: “In order to ensure the healthy and orderly development of mountaineering and minimize the occurrence of mountaineering accidents, mountaineering teams which were organized in Nepal temporarily will not be accepted.” As I have learned from a reliable source, a delegation from Nepal immediately traveled to China to have this regulation removed or at least weakened. Apparently the delegates of the Nepali operators were at least partially successful. Some agencies, however, are supposedly to receive no more approval. The Chinese and Tibetan Mountaineering Associations announced to cooperate in future only “with expedition companies with good social reputation, strong ability of team formation, logistic support, reliable service quality, excellent professional quality, and (who are) law-abiding”. 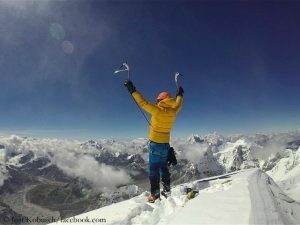 Also from the eight-thousander Shishapangma in Tibet, the first summit successes of this fall season were reported today. According to their own announcement, a team of the Russian expedition operator “7 Summits Club” reached the 8,027-meter-high summit , as did a team of the Nepalese operator “Seven Summit Treks”. 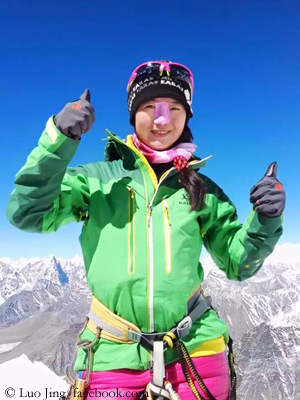 SST-Board director Dawa Sherpa informed on Facebook, that Chinese Luo Jing was among those who stood on the summit of Shishapangma. It was the last of the 14 eight-thousanders that the 42-year-old still lacked in her collection. 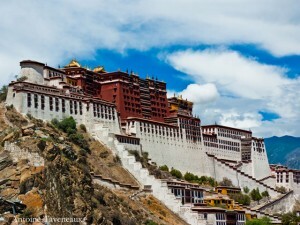 Nasty surprise for some climbers heading for destinations in Tibet this spring: I have been confirmed by several sides that China currently does not allow tourists to enter Tibet in case that there is a visa for Pakistan issued in the past three years in their passport. Especially professional climbers, who like to tackle the impressive mountains of the Karakoram in summer, run the risk of not obtaining a visa for Tibet. Some mountaineers are stuck in the Nepali capital Kathmandu, because they have learned too late about this new regulation. So if you want to travel to Cho Oyu, Shishapangma or the Tibetan north side of Mount Everest and do not want to experience a bad surprise, take a look at your passport! 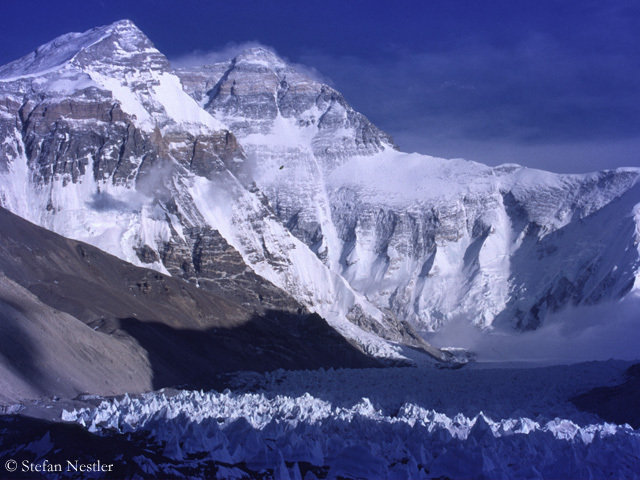 It could be a record season on Mount Everest. After the successful 2016 season, experts are expecting a run on the highest mountain on earth – especially since many climbers want to use their extended permits from 2014 (valid until 2019) and from 2015 (which will run out this year). 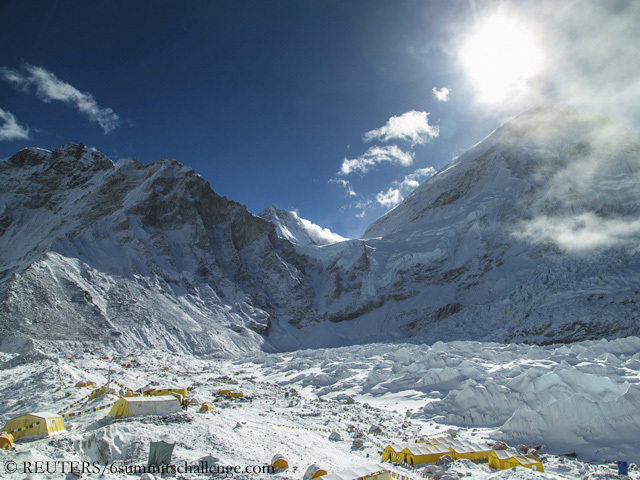 In 2014, the season in Nepal had been finished prematurely after an avalanche accident in the Khumbu Icefall with 16 deaths. In 2015, there had been no ascents on both sides of the mountain due to the devastating earthquake in Nepal. Dominik Mueller, head of the German expedition operator Amical alpin, will set off to Everest with a “small but strong team” on 8 April. Three clients, four Climbing Sherpas and he himself will try to reach the 8,850-meter-high summit via the normal route on the Tibetan north side. “I will use bottled oxygen because I believe that I can only support other people as best as possible when using a breathing mask,” says the 46-year-old. “Anyone who climbs Everest without supplemental oxygen is so preoccupied with himself that he probably has no resources left to look after others.” I talked to him about the upcoming season. 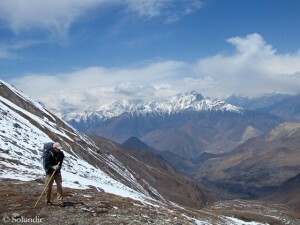 Dominik, with what expectations do you set off to the Himalayas? 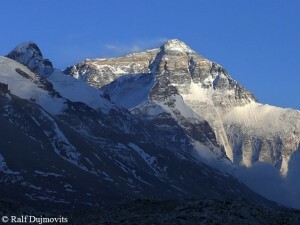 Climbing on an eight-thousander in Tibet is getting more expensive, not only on Mount Everest. According to documents available to me, the Chinese Mountaineering Association (CMA) has significantly increased the prices for the climbing permits on Everest, Cho Oyu and Shishapangma, on average by more than 30 percent. Since the beginning of the year, the CMA claims 9,950 US dollars per mountaineer for the climb of the highest mountain on earth in case of four or more team members. 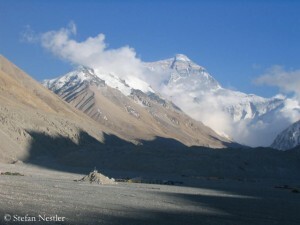 So far the Everest Permit cost about 7,000 dollars per head. 7,400 dollars are now due for Cho Oyu, 7,150 dollar for climbing Shishapangma from the north side and 7,650 dollars for an ascent from the south side of the mountain. For smaller teams of up to three, the permit costs are even in a five-digit range: 19,500 dollars per person on Everest, 12,600 dollars each on Cho Oyu and Shishapangma. If a good mood could be converted into electricity, Ines Papert right now wouldn’t need any socket at home. 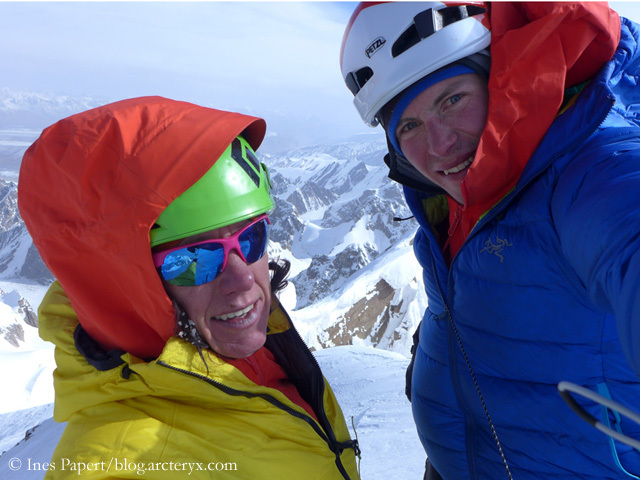 I can literally hear the beaming face of the 42-year-old German top climber on the phone when we talk about her success at the 5842-meter-high Kyzyl Asker in the border area between Kyrgyzstan and China. 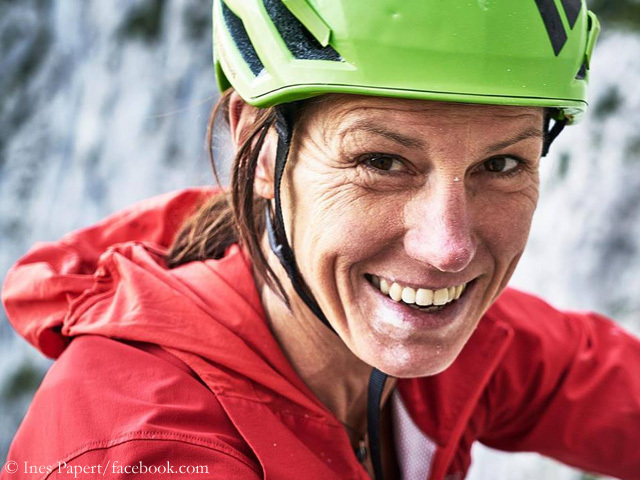 Along with her 28-year-old Slovenian rope partner Luka Lindic, she has opened – as reported – a spectacular route through the Southeast Face of the mountain. A line where many top climbers had previously failed, she herself twice. Ines, how does it feel to have fulfilled a dream in the third run (after 2010 and 2011)? First of all: Compared to the suffering in Nepal after the earthquake of last Saturday – now more than 5,000 deaths and 10,000 injuries have been counted – it seems almost insignificant what is happening on the Tibetan north side of Mount Everest. But I also give reports on the consequences of the terrible tragedy in Nepal for the climbers in the region – and there are still several hundred mountaineers in Tibet, including many Sherpas from Nepal. All will go home now. Whether they like it or not, they have to. “It’s official: Everest is closed for this season”, expedition leader Dominik Mueller, head of the German operator Amical alpin, writes from “Chinese Base Camp” on the north side of Mount Everest. Yesterday Mueller had abandoned his expedition, one day before the decisive meeting of the expedition leaders with representatives of the China Tibet Mountaineering Association (CTMA) in Base Camp at 5,150 meters. “It’s official: Tibetan north side of Everest is closed for this spring season”, reports expedition leader Dominik Mueller, head of the German operator Amical alpin, from Chinese Basecamp. There was a last decisive meeting between the expedition leaders and Chinese officials this morning. Other climbers confirm the end of the season. More details later. Day three after the devastating earthquake in Nepal: The death toll in the country has risen to almost 4,000, and it is continuously increasing. An end of the bad news is not in sight. Still information focusses on the most heavily hit capital Kathmandu and the region around Mount Everest. From the other regions of the country, messages are barely trickling in. 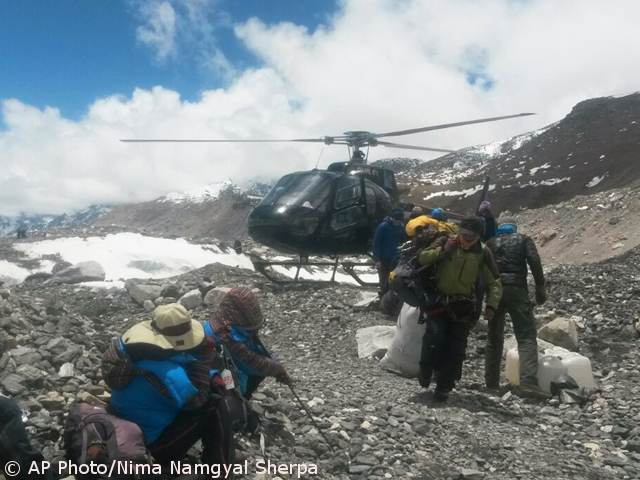 German trekkers report that debris flows also occured on the Annapurna Circuit on Saturday. Many trekkers are reportedly waiting on their way around the eight-thousander Manaslu for being evacuated by helicopter. The base camp at the foot of Annapurna was hit by an avalanche on Saturday. “It just about buried us in our tents, we had to use our knives to cut our way out. After that, myself and two sherpas had to do a rescue of a teammate”, Canadian mountaineer Al Hancock said. 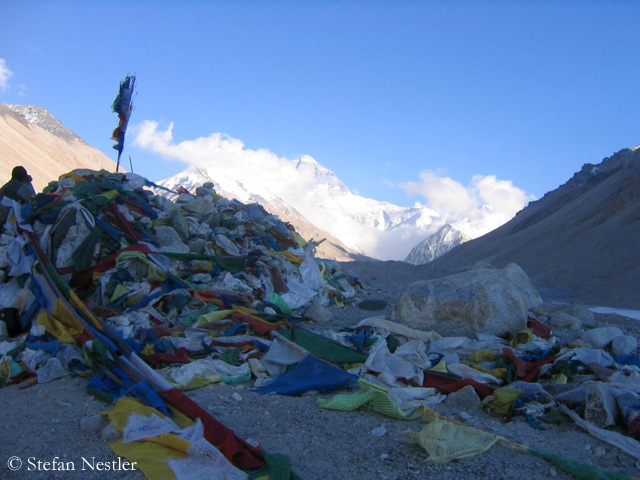 Stop on the Tibetan north side of Everest? The Chinese state news agency Xinhua reports that China has stopped all expeditions on the north side of Mount Everest because of the earthquake disaster in Nepal. Still, there was no confirmation by expedition leaders. However, there were earlier reports that officials negotiated with the expedition leaders about the consequences of the earthquake for the spring season on the north side. I got the information that there will be another meeting with the authorities in Chinese Basecamp on Tuesday morning. So I’m not sure that the Xinhua report is right. A characteristic of our time is that nobody has time – or does not take his time. That affects mountain tourism too. For years, German operators note a decreasing interest in expeditions that take 50 or even 60 days. Simultaneously, more climbers tend to book trips for which they need only 30 leave days. 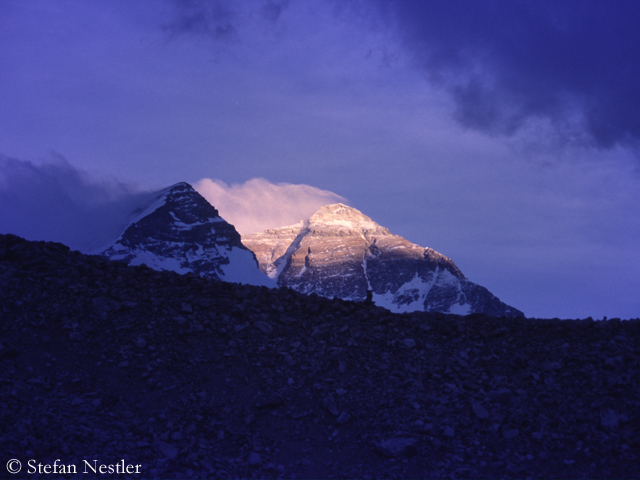 In other words, expeditions to 7000ers are booming, those to 8000ers are ailing. Apparently, the trend “the shorter, the better” also applies to trekking. Experts in Nepal have called to change with the times by offering shorter treks. They said that an increasing number of trekking tourists in Nepal were coming from China and Southeast Asian countries – and those trekkers simply had not time for a three-week trip on the Annapurna circuit or to trek to Everest base camp.